Cycling's top climbers join the lineup Saturday for the start of the Vuelta e Espana, in the absence of defending champion Chris Froome and Tour de France winner Geraint Thomas. Three-time world champion Peter Sagan of Slovakia will join the starting line-up that has attracted the cream of cycling's climbers led by former Vuelta winners Alejandro Valverde and Nairo Quintana of the Movistar team, Vincenzo Nibali of Bahrain-Merida and UAE's Fabio Aru. 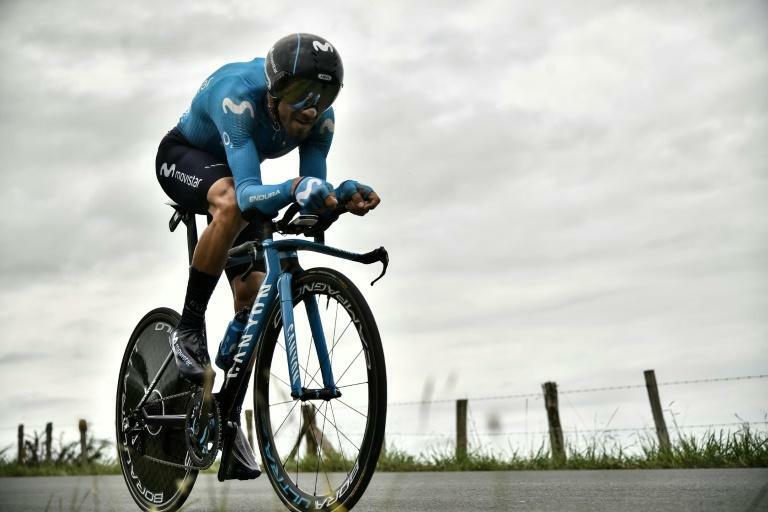 Also among the challengers are Australian Richie Porte (BMC), Colombia's Rigoberto Uran (EF-Education First), Irishman Dan Martin (UAE) and Colombian Miguel Angel Lopez (Astana). British brothers Simon and Adam Yates, of the Mitchelton-Scott team, are also tipped to do well. Thibault Pinot, one of the brightest hopes in French cycling, will also be on the starting ramp in a tentative return to competition after pneumonia forced an early end to his Giro d'Italia in May. "I will try to get into the Vuelta gently, little by little," said the man who finished third in the 2015 Tour of France. "We will assess how I am doing at the half-way mark and determine whether to go for the overall prize or look to picking up a stage win in week three." That way he would join an elite circle of riders who have won stages in the three great tours (France, Italy and Spain). "The standard will be very high and it will be very interesting to watch," he said. Along with many others competing in Spain including Australian Porte, Pinot will also have an eye on the World Championships in Innsbruck, tailored for climbers, which starts on September 30. A number of other riders claim that they are not targetting victory in the Vuelta. "As I am in a recovery phase, it is hard for me to think about the overall race standings," said Nibali, second last year but recovering from a fractured vertebrae suffered in France. Porte, 33, was also forced to pull out of the Tour de France after injuring a shoulder in a heavy fall on the gruelling ninth stage. The winner of the Tour de Suisse in June said he is also assessing his condition and using the Vuelta as a prep for the worlds.